Get The App Now To Get A FREE Pretzel at Auntie Anne’s On 4/26! You are here: Home / FREEbies / Get The App Now To Get A FREE Pretzel at Auntie Anne’s On 4/26! On April 26, Auntie Anne’s is celebrating National Pretzel Day by giving their customers a FREE Original or Cinnamon Sugar Pretzel! 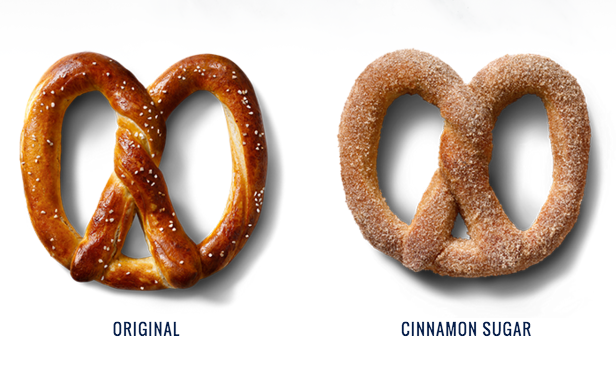 You have to download their app between now and midnight on April 25 to receive your choice of one FREE Original or Cinnamon Sugar Pretzel, redeemable on National Pretzel Day, April 26, through May 1!